Having endured almost 70 years of anonymity at the World Cup, the 2018 edition in Russia will represent Japan’s sixth consecutive appearance at the tournament since 1998. The Samurai Blue have come an astonishingly long way, from involuntary strangers to bonafide regulars, and though their on-field revolution can be largely attributed to the formation of the country’s first professional football league, established in the nascent 1990s, they’ve also one particular player to thank for inspiring a generation of future footballers to take up the now-nationally beloved sport. That player is Tsubasa Oozora, the fictional 11-year-old football-obsessed school student. The brainchild of Japanese artist and cartoonist Yōichi Takahashi, the idea for Tsubasa, the young wannabe football star, was conceived during his own high school years. Takahashi’s decision to position his protagonist in the then-foreign world of football came as quite the surprise, not least because in the late-1970s and early 80s, such is the case today, sumo was the national sport of Japan while baseball was undoubtedly its most followed. But, at the time of the manga’s inception, the 1978 World Cup in Argentina was being televised live in Japan and the action on-screen captivated Takahashi and began to lead him away from his country’s more traditional pastimes. Takahashi was more comfortable with the idea of baseball – he had toyed with stories relating to the sport when he first began producing comics – but the more he researched football, the more he came to learn of its universal prestige and he quickly fell under its spell. It may not have been Japan’s favoured sport but it became clear to him it was the world’s. And so Takahashi created Tsubasa Oozora, the football player, and he persevered with his unorthodox pitch, even though it meant explaining to initially confused fans what exactly a “World Cup” was. Much to his relief, soon enough, the allure of football in Japan would speak for itself. Replete with a fitting backstory, which involved a one-year-old Tsubasa surviving being hit by a bus only by virtue of the football he held in front of him, thus bearing the brunt of the force and saving his young life, the Soccer no Moshigo (or “heaven-sent child of football”) made his debut in 1981 as a feature of the Weekly Shōnen Jump comic book magazine, where it ran for seven years before spawning a glittering array of sequels and spin-offs. Fast-forward almost four decades and today, Tsubasa has been immortalised in no less than 15 serialised manga runs, six anime series, four feature-length films, 14 multi-console video games and an ever-increasing wealth of toys, clothes and assorted memorabilia, certifying its place as one of Japan’s most treasured manga and anime series. Fictional though Tsubasa may be, his assertive response wasn’t altogether untrue. In the eyes of many, Tsubasa did aid Japan in qualifying for not just one but a succession of World Cups. 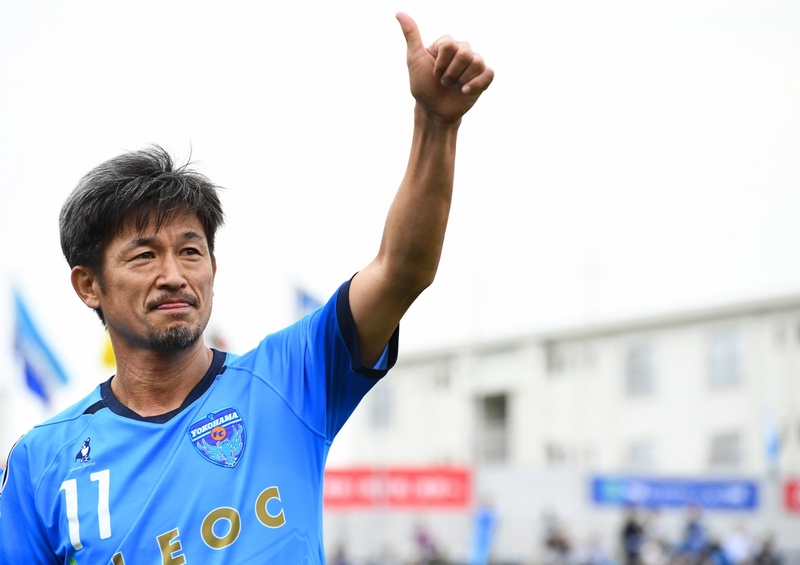 Yet, despite Takahashi’s diplomacy, there remains ample proof to suggest it was, in fact, his creation, Captain Tsubasa, who was largely responsible for igniting a love of football in so many youngsters, especially in the case of legendary Japanese midfielder Hidetoshi Nakata. As the 1990s gave way to the 2000s, now with a fictional hero in Captain Tsubasa and an emerging real-life hero in the dynamic trailblazer Nakata to look up to, a generation of Japanese children strayed further still from the ubiquitous love of baseball and martial arts shared by their elders and became unequivocally hooked on football. 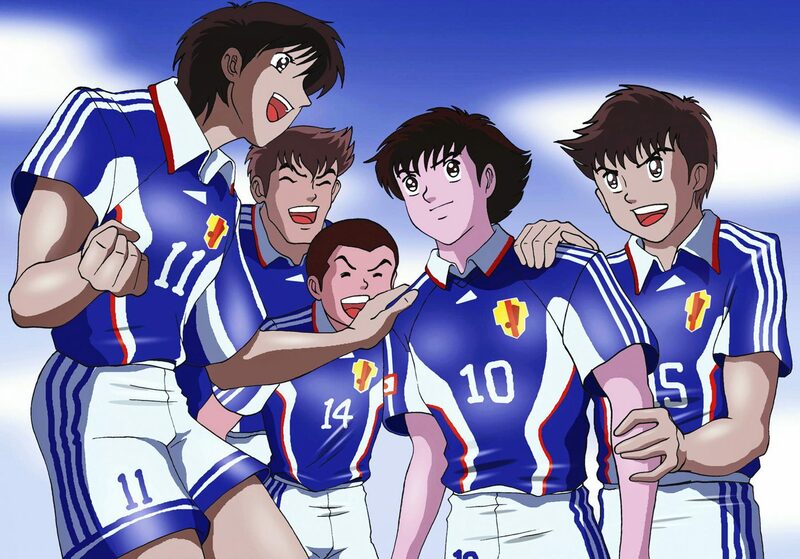 The Captain Tsubasa canon – all material accepted as officially part of the story and its fictional universe – not only features the series’ title character and his teammates performing an array of otherworldly skills and gravity-defying efforts, each adorned with incredible names such as ‘razor shot’, ‘twin bicycle kick’ and even ‘swift recoil cannon kick’, but has seen the young Japanese prodigy embark upon quite the continental career path. Throughout the many compelling story arcs across which Tsubasa’s career has grown, the young footballer has become something of a journeyman. Beginning in the humble surroundings of the fictional town Nankatsu, Tsubasa turns out for his fledgeling high school team. Before long, however, he is setting off on globe-trotting adventures in Brazil, winning the Campeonato Brasileiro Série A with São Paulo, Spain, scoring an El Clásico-winning hat-trick against Real Madrid after transferring to Barcelona, and on the international stage too, where he leads Japan to a historic World Cup win. All the while, his cast of friends experience their own trials and tribulations at the eclectic likes of Juventus, Reggiana and Hamburger SV. It was in part thanks to this quintessentially international palette from which the series was painted that saw the show thrive far beyond the bounds of its country of origin and find enthralled audiences across the world. 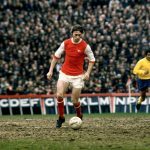 Consequently it was not only a generation of Japanese children for whom Tsubasa Oozora inspired an enduring love for, and desire to succeed in, the beautiful game. Abroad, and to a far greater degree than in any other foreign nation, the series found a place of its own deep in the heart of Spain. Throughout the fútbol-mad Mediterranean nation, the anime, redubbed in Spanish and subsequently renamed Oliver y Benji, to honour its protagonists’ new geographically-favourable monikers, proved terrifically popular and would be responsible for capturing the imaginations of thousands of young Spanish-speakers, allegedly including Lionel Messi. Over the years so many footballers have flaunted their affection for the inspirational cartoon; from Italian World Cup winner Alessandro Del Piero, who knew the show by another revised name, Holly and Benji, who used a drawing of him and the show’s protagonist, sketched by Takahashi himself, as a profile picture on social media, to Spain’s own world champion Andrés Iniesta, who has been routinely photographed wearing clothes inspired by the anime and, most recently, met Takahashi to receive drawings from the artist that commemorated the Spaniard’s move to Japanese team Vissel Kobe, where he joined Lukas Podolski, a third World Cup victor and fellow Tsubasa fanatic. In subsequent years, all-time greats of the game including Zinedine Zidane Thierry Henry, and Gennaro Gattuso have all spoken of their love for the anime they watched as children. With all three, like those mentioned before them, having also lifted the coveted World Cup during their storied careers, there is perhaps a hint of magic to be associated with having grown up watching a cartoon so inspired by the very same competition. Today, in the bustling Tokyo neighbourhood of Katsushika, where Yōichi Takahashi himself grew up, there proudly stands a bronze statue depicting Tsubasa seemingly mid-sprint; just one of a collection of permanent sculptures sprinkled throughout the city, commissioned in honour of their most inspirational son. 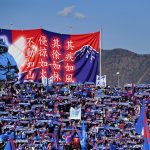 Though an innate modesty may prevent Takahashi from ever openly acknowledging the immeasurable impact of his influential creation, it appears undeniable that he achieved his original goal of inspiring a greater love of the sport throughout his native Japan and, through discovering its wider audience in countries and continents far beyond the borders of his native land, his intentions to make the world of football a better place. This is, of course, best evidenced not in the form of statues and accolades but in the droves of footballers who were introduced to the beautiful game by the story he conceived. 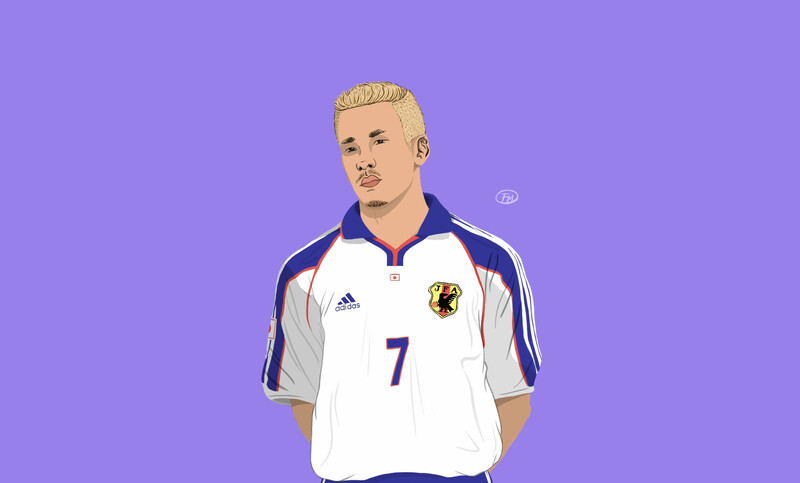 For his role in extending the game’s vast embrace, and for opening the eyes of so many future stars to the sport’s many splendours, the world of football owes an enormous debt of gratitude to Tsubasa and his humble creator. Doumo arigatou, Takahashi-san.